Searching for a new vehicle, or refinancing what you have, is hard enough without deciding between lenders and their terms. Over the years, I’ve realized that refinancing is as easy as 1, 2, 3, especially when there are everyday low-interest vehicle loans from Mission Fed. Do you want to show off your sporty side in a sports car, get comfortable in a roomy sedan or travel up to snowy mountains in an SUV? Figure out what type of car fits your lifestyle and your specific needs. There are many websites you can visit to determine options and value. For used vehicles, check various websites for inventory and cost, such as the Kelley Blue Book, the National Automotive Dealers Association or Auto Trader. For a new vehicle, visit the manufacturer’s website to discover how you can build your dream car. This may be difficult with a customized vehicle, but you should shop around to see how a new or used vehicle is being priced. Visit Edmunds or TrueCar® to see what price you should pay. Buying a car is one of those rare experiences where the price listed doesn’t have to be the one you settle on. But what if you don’t have time or want to hassle with the dealers? 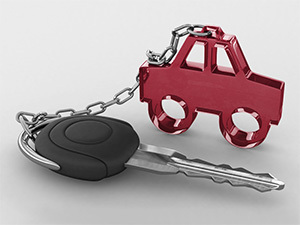 Check out Autoland, our vehicle buying service. All they need to know is what car you’re looking for, and they’ll come back to you with a no-haggle price. Dreams become reality once we see the price tag, so when you have made a final decision on the car and price, check out Mission Fed’s low Auto Loan rates. Rates are as low as 1.89% and for any personal vehicle that is a 2008 model year or newer! Most local financial institutions do not offer low everyday rates on older model years, but at Mission Fed, we feel that the age of the auto is not the only factor when determining rates. You can also check out the Auto Loans calculators on our website to see what your monthly payment will be or compare your options (like if you should take a rebate or low-cost financing). If you feel like you’re ready to purchase your dream car, visit our Auto Loans page to apply online, contact us by phone at 858.524.2850 or 800.500.6328 or visit your branch to get preapproved for your everyday low rate. We can even send your loan docs to you electronically, and you can sign your docs electronically, too. Make sure to still buckle up for the adventure of buying a new or used car—but with Mission Fed, it should be a smooth ride. This article contains links for websites that Mission Fed does not endorse or control. Mission Fed is not responsible and does not assume liability for the operations, content, links, privacy or security policies of third party websites. What is a credit union and why should I bank with one?